At a new price, this home has a lot to offer! Home with some updating, 2 car garage plus additional 3 additional rooms in basement area under home – 2018 New hvac unit & ductwork, Hard wired generator kicks in during power outages during stormy weather. Updated kitchen has granite counters, tile backsplash, ss appliances, gas range D/W & fridge plus plenty of cabinet space. Vaulted great room ceiling open to dining area. Wood floors, newer carpet. Master BR features vaulted ceiling & master bath with tiled jetted garden tub shower combo. Walk-in-closet! 2 additional bedrooms & hall bath- Space under house is a big extra! 2018 Ducts added for heating/cooling, wired for lights/outlets, plumbed for a bar/sink. Needs drywall completed, painting, flooring in front room & rear two rooms. Materials in home. Perfect for handy buyer who wants extra space for workshop, playroom, Man Cave / She Space. Covered front porch, fenced front yard, rear deck. This one has a lot of potential! 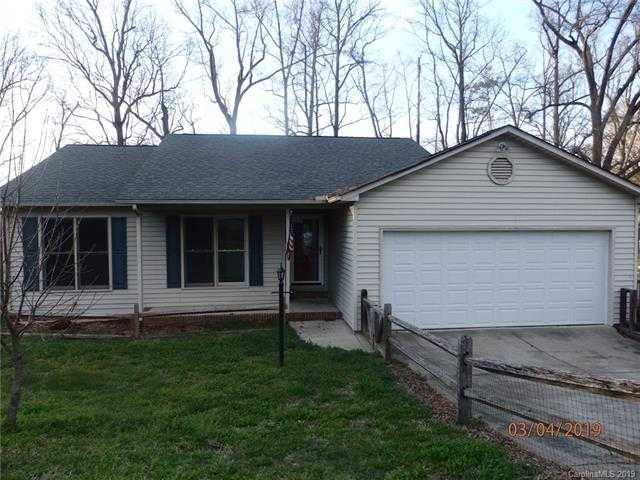 Please, send me more information on this property: MLS# 3452733 – $189,999 – 150 Hillside Avenue, Concord, NC 28025. I would like to schedule a showing appointment for this property: MLS# 3452733 – $189,999 – 150 Hillside Avenue, Concord, NC 28025.